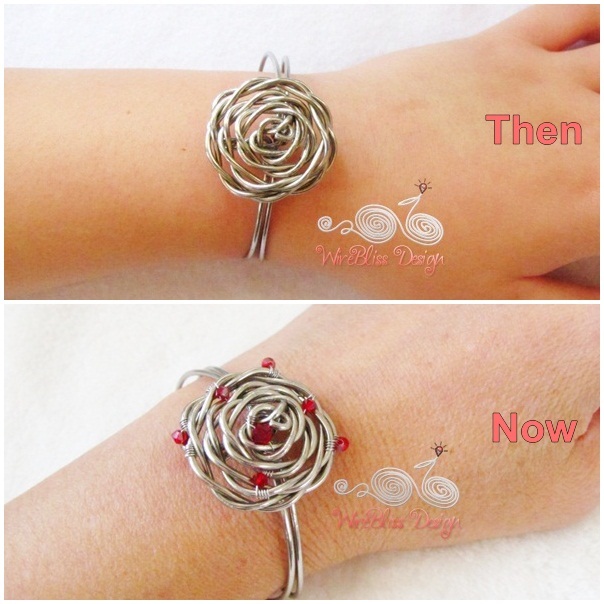 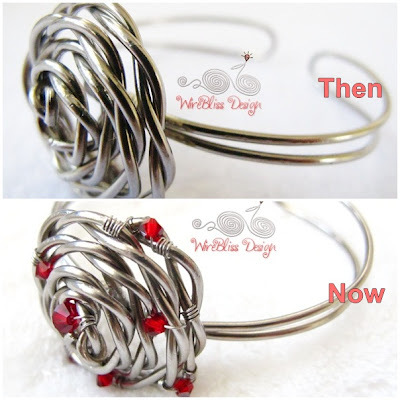 Remember the Adjustable Wire Rose Cuff from the other day? One of them is that plain looking wire rose cuff. 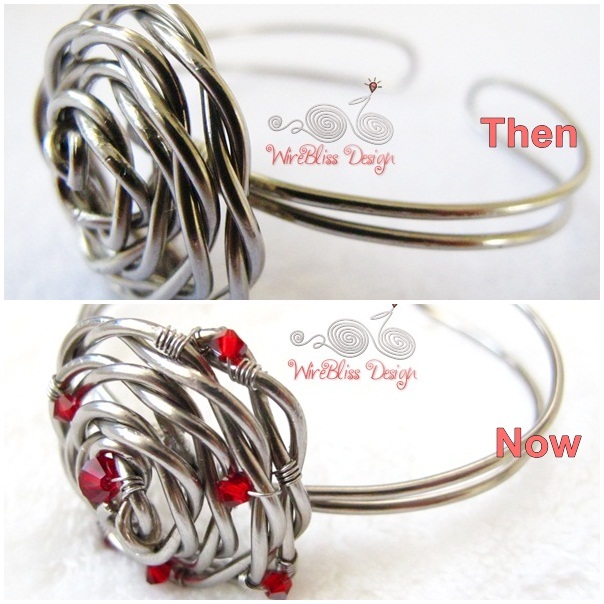 I decided to add some color to it and here is the result. 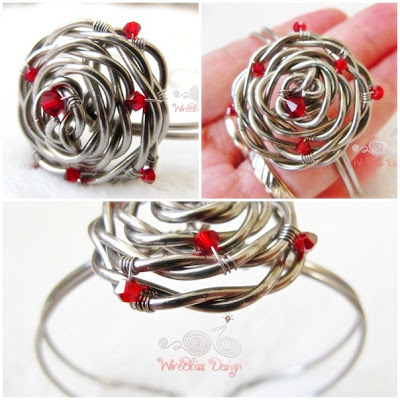 Adjustable Rose Ring Tutorial is available at my Etsy Shop via direct download.